Our asphalt milling experts are fully equipped to handle any size milling or milling repair project. Let our expert milling technicians prepare your parking lot, road or street for resurfacing by removing the damaged top layer of existing asphalt. A-1 Asphalt Inc can mill from one inch to one foot of asphalt and aggregate base — using a time-tested and proven milling process that makes removal quicker, cleaner and more affordable. A-1 Asphalt Inc offers a full range of asphalt milling services to grind and remove the top layer of aging asphalt on streets, roads, highways, parking lots, condominium complexes, industrial parks and more. 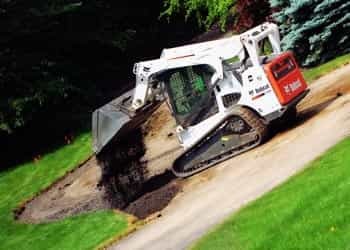 When performed properly by experienced professionals, the asphalt milling and milling repair process keeps streets from getting too high from years of resurfacing – and prevents costly drainage problems from arising. Here are some additional things we do in addition to milling. Our asphalt milling company always strives to reduce our impact on the environment. As a leader in asphalt recycling, we take great care in collecting, treating and recycling all milled asphalt to ensure that these materials can be used again. In addition to lowering costs, recycling asphalt can reduce quarrying, mining and oil consumption, lower our use of scarce natural resources — and keep asphalt and other aggregate materials out of landfills.